A few Tilda Friends are hanging out in the suitcase looking fresh in Bumblebee outfits. Pink summer dresses from the Dress & Wings pattern, and green top from the Top & Pants pattern. There are roomers of new friends coming to town so lots to talk about. We had so much fun building a home for our Tilda friends using what we found around the studio. The house in it self is an old cupboard and although the ceiling is a bit low it works perfectly. Quirky is good in our opinion, and everything doesn’t have to be the perfect size. 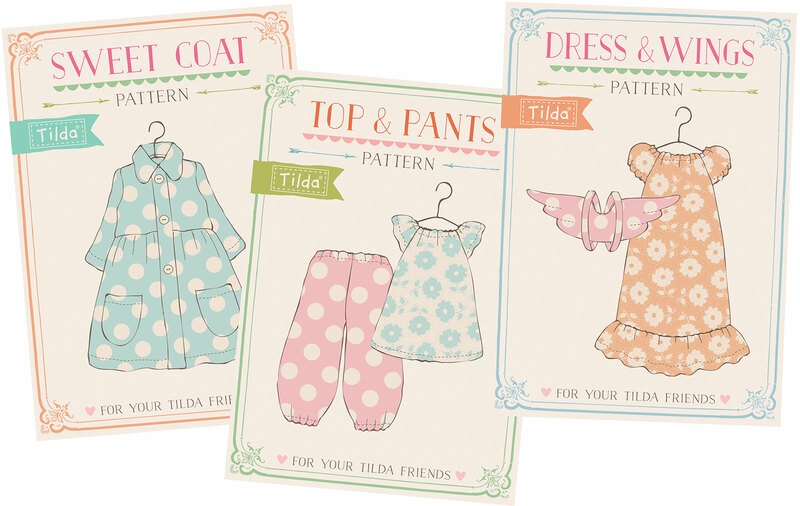 This is such a great project to create with kids, and Tilda friends are approved for children all ages. 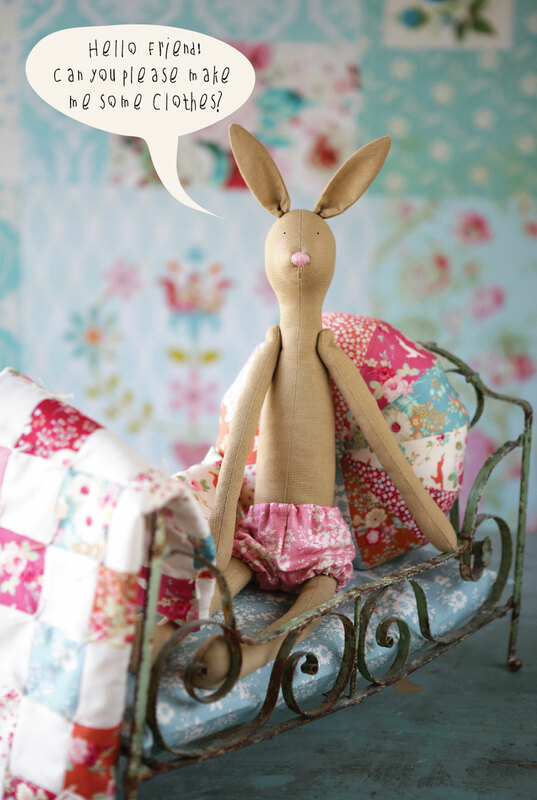 Why not start looking for the perfect vintage cupboard house and small quirky items. Perhaps your Tilda Friends will have a home for Christmas. Oh, this would actually be a perfect Christmas calendar project for a lucky child, receiving one small item a day. Why didn’t we think of that before…. 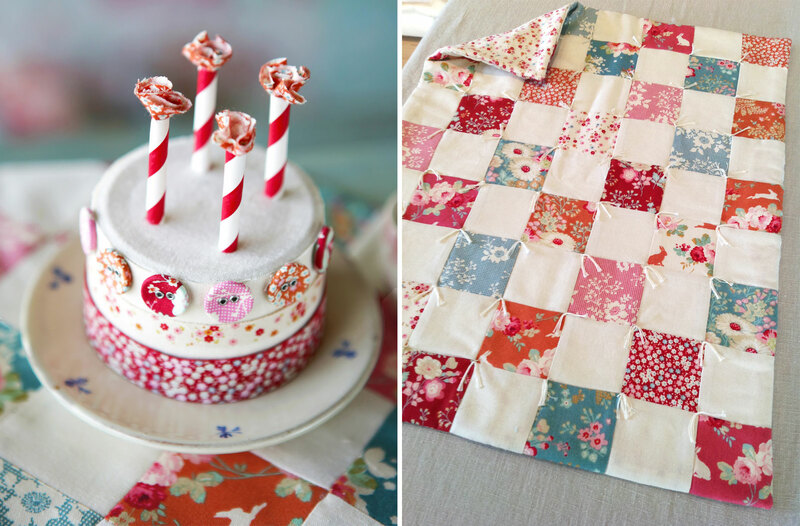 The cake is made out of the bottom of a plastic cup, first covered with fabric and then decorated with ribbon buttons and pieces of striped straws as candles. The doll quilt and tablecloth is sewn using 2,5 in squares. 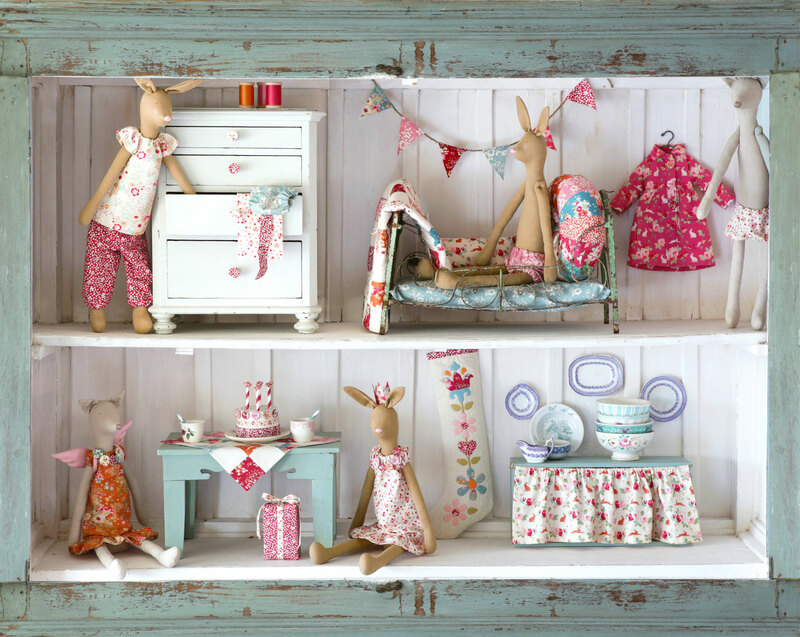 An old stool is the perfect table, and eggcups perfect doll cups. The kitchen counter is a Tilda fat quarter box turned on the side. Maybe you can find a tiny Christmas tree outside, use oasis to put it in an old porcelain cup and decorate with purls buttons and ribbon. It’s easy to get a bit carried away, you might need a bigger cupboard or a wardrobe. 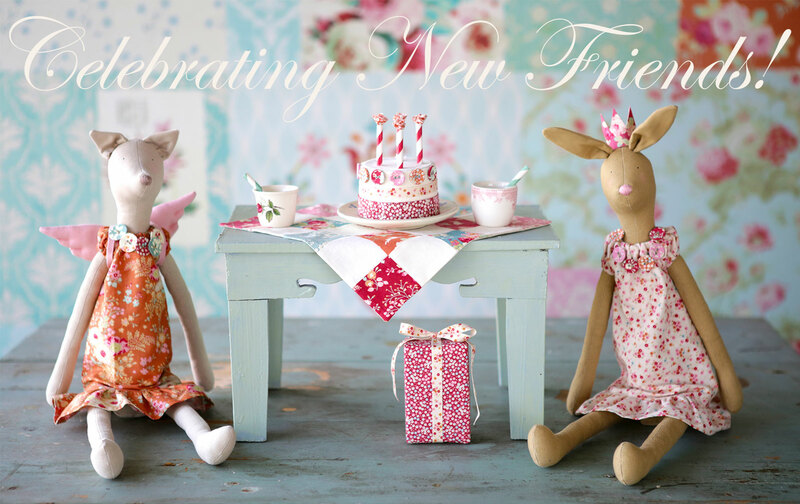 Autumn preview – Tilda Friends! 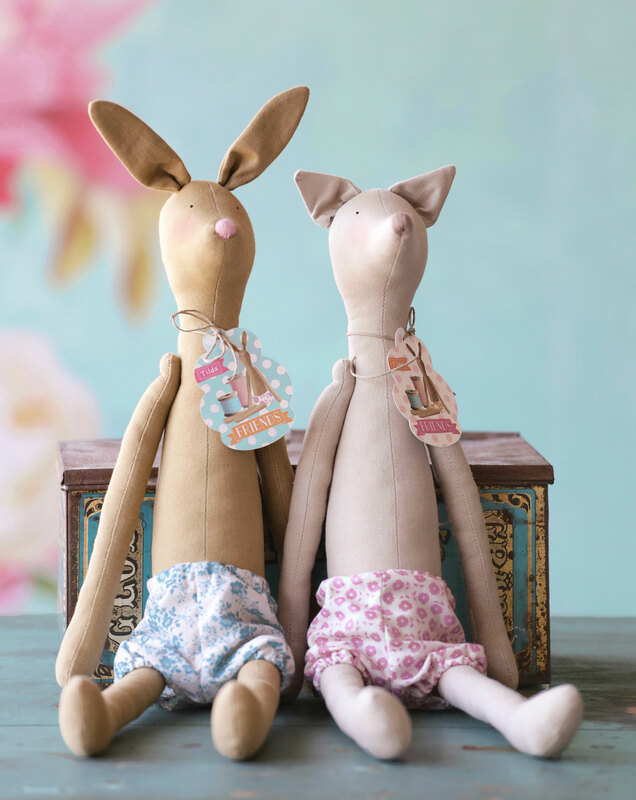 We are very exited to share that two of the beloved Tilda characters – a fox and a rabbit will be available as lovely pre-sewn dolls this august! 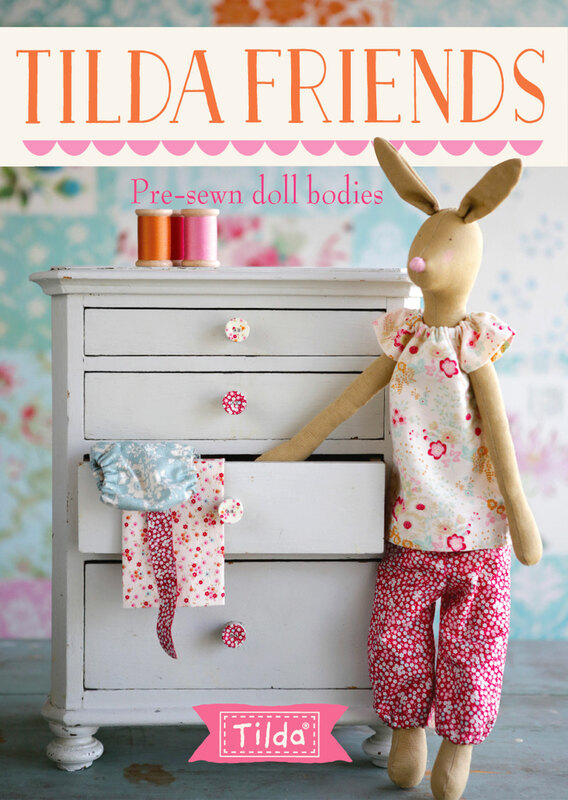 Many of you are experts on sewing Tilda dolls and animals and Tilda will as always be about making your own personal dolls, but pre-sewn bodies are perfect for those who find doll sewing a bit daunting, or for young people learning to create and sew. It’s so much fun making clothes and accessories! 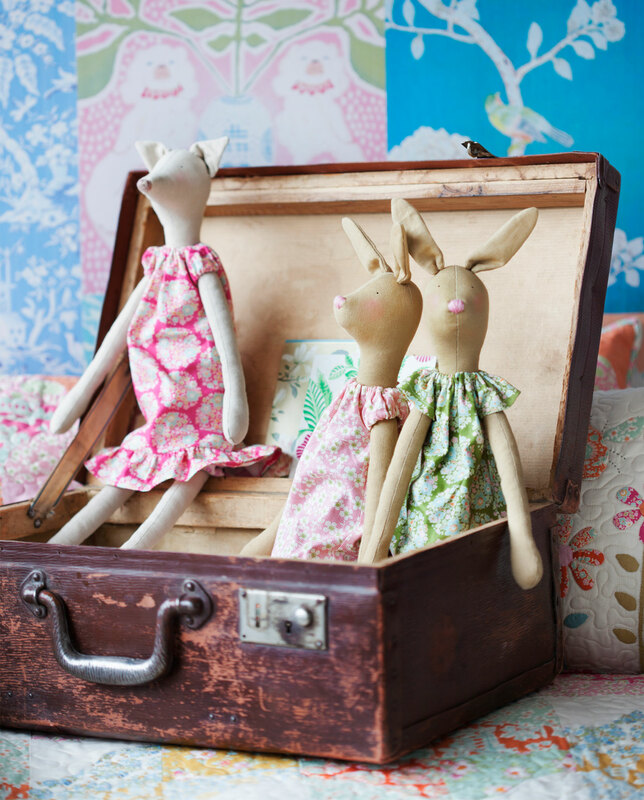 Some of you might know that Tilda started as an idea of a children’s concept that emerged into a craft brand many years ago, and it’s a dream come true for us to be able to provide pre sewn Tilda dolls approved for children in all ages worldwide. Crafty friends that can inspire creativity. It has been a long process getting the look right and the quality perfect, and we are very happy with the result. Among the autumn news you will find sweet patterns for clothes, and we will share ideas and patterns on the blog on how you can personalize and make accessories. 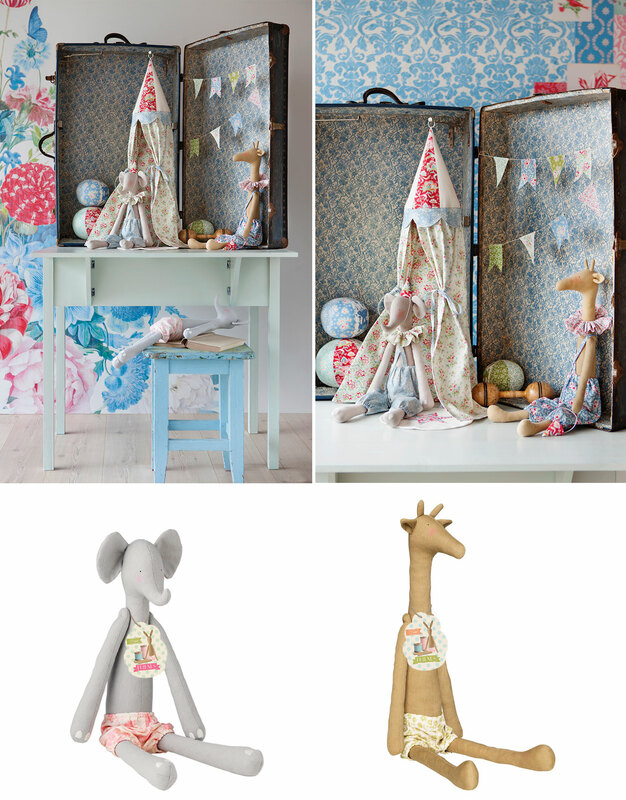 We had so much fun creating a colorful world around these characters, and hope to continue with more pre sewn Tilda characters in the years to come to inspire creativity and playfulness.